We've brought the store to your door for over 20 years. 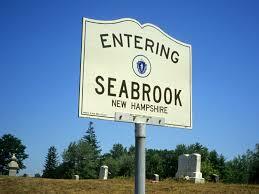 Shop for window décor in the comfort of your Seabrook, NH home. Bayside Blind & Shade in New Hampshire is not a franchise, We're an owner operated company that believes in the quality of our products. We provide Premier Custom Made Window Treatments from the nationally recognized curtain & shutter leaders: Hunter Douglas shades, Graber/Bali blinds and Norman shutters. Express your unique style and enhance the beauty of your Seabrook, NH home with custom modern curtains & window coverings. Why wait ...Call David Today!